As great power rivalries intensify, China, Russia, and the United States are redoubling their pursuit of defense innovation in emerging technologies that could change the character, perhaps even the nature, of warfare. At present, U.S. primacy in innovation remains a critical, though contested, advantage. China is emerging as a scientific and technological powerhouse, while Russia is creatively pursuing asymmetric advantages. Since advances in these dual-use technologies, including robotics and artificial intelligence (AI), are emerging increasingly from the private sector, the capacity to integrate and leverage commercial technologies will be critical in this race for advantage. Historically, the U.S. has leveraged close relationships between defense, academia, and the private sector, and the Department of Defense has recently expanded and intensified its efforts to build bridges in an effort to introduce the technologies of Silicon Valley into the military. Despite a robust history of partnership—and the successes of the Defense Innovation Unit Experimental (DIUx)—this relationship can also be tense and rocky at times. 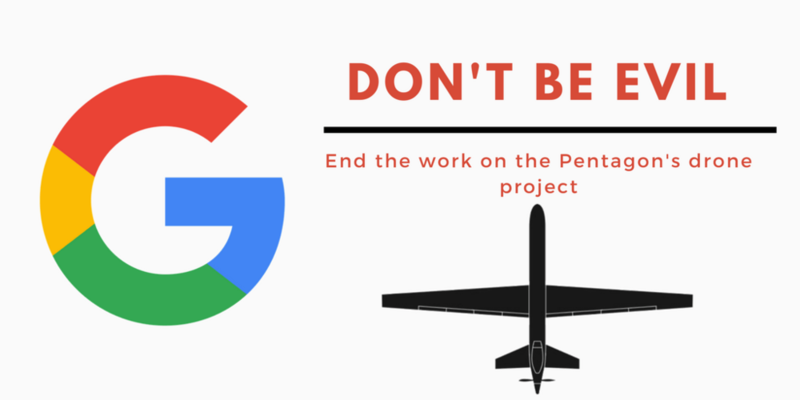 The recent backlash against Google’s work with Project Maven, which resulted in a campaign by employees demanding a policy against building “warfare technology,” culminated in Google’s decision not to renew the contract. Google has since issued principles that included a commitment not to pursue applications of in weapons using artificial intelligence. Given the intensity of concerns over the weaponization of artificial intelligence, these debates will likely persist. At the same time, China and Russia are redoubling their own initiatives to deepen relationships among the defense establishment and commercial enterprises, adopting and adapting elements of the traditional U.S. approach in the process. There will be major asymmetries and divergences in the context for and character of such partnerships. The free, open debates taking place at Google reflect a major strength of the U.S. innovation ecosystem—that dissent and discussion unlikely to be tolerated in China or Russia are encouraged, creating an environment conducive to risk-taking and creativity. At the same time, appeals to Googlers to consider shared interests with the U.S. military and concerns over U.S. national security, confront the reality that this notionally U.S. company and its workforce are highly international, whereas tech companies in China and Russia, even those that are not directly state-owned or controlled, operate under greater constraints with lesser transparency, while often leveraged as national champions. The apparent absence of the freedom to debate and dissent can have negative consequences for innovation, but patriotism and nationalism can also be powerful motivations in countries that aim to catch up with, and eventually overtake the U.S. military. The capacity of states to promote and facilitate closer collaboration among defense and commercial sectors can be advantageous in the development of dual-use technologies. To advance military innovation, Xi Jinping has called for China to follow “the road of military-civil fusion-style innovation,” such that military innovation is integrated into China's national innovation system. Within the past several years, the concept of military-civil fusion (军民融合) has been elevated to the level of national strategy, guided by the Central Military-Civil Fusion Development Commission (中央军民融合发展委员会), established in January 2017 under the leadership of Xi Jinping himself. This focus on leveraging synergies between defense and commercial developments is recognized as particularly effective in the context of dual-use emerging technologies, especially artificial intelligence. Similarly, President Putin has also repeatedly called for technological innovation to modernize Russia's military forces. Accordingly, the Ministry of Defense is seeking to organize various defense and civilian efforts into a breakthrough collaborative model, encompassing research and development departments at military institutions, civilian universities, and private sector companies. Moreover, the Russian Minister of Defense has Putin’s ear when it comes to military innovation and modernization, which serves to greatly facilitate the discussion on the most pressing military needs and challenges. It seems unlikely that moral and ethical considerations will emerge as a major factor impacting or constraining the engagement of Chinese and Russian academics and enterprises in the pursuit of military applications of artificial intelligence. Of course, individual academics and researchers may express their concern and opposition, but open debate or mobilization that reaches a certain threshold would likely be censored, constrained, or redirected by official authorities. For instance, the Chinese government, which articulated its support for a ban on the use of fully autonomous lethal weapons systems during the last session of the UN Group of Government Experts on the topic, will likely to maintain a degree of strategic ambiguity on its position, without constraining its own development of comparable capabilities. At the same time, the Chinese government seeks to lead in developing legal and ethical frameworks, as well as technical standards, to enhance its influence in the future development and governance of artificial intelligence. For Russia, pragmatism, not ethics as the West understands it, comes first. The Russian position with respect to developing weapons armed with AI is best exemplified by its official stance on Lethal Autonomous Weapons Systems, which calls for a human in the decision-making loop but does not endorse the notion of an international regime that would limit the sovereign right of nations to build and test new technologies. The Russian defense establishment is therefore taking a results-driven, forward-looking approach to the development of artificial intelligence. As China and Russia seek to keep pace with and overtake U.S. defense innovation initiatives, their approaches are mimicking, perhaps even copycatting, and converging with certain elements of the traditional U.S. approach. There are a growing number of partnerships and collaborations between their respective defense establishments, academic institutions, and commercial enterprises. Notably, Chinese and Russian would-be-DARPAs are now seeking to act as catalysts for disruptive innovation. Adapting the model of DIUx, China and Russia are also establishing new mechanisms to enable the rapid incorporation of commercial technologies for defense purposes, and vice versa. For example, Russia recently announced the creation of a company that aims to take military achievements in artificial intelligence, blockchain, machine learning and Big Data analysis and push them to the civilian sector to counter domestic dependence on imported Western hi-tech. The future trajectory of these initiatives remains to be seen, but such efforts may yield results unexpected from countries that lack the tradition of American-style military-technical innovation. If successful, these overtures towards Chinese and Russian defense innovation with American characteristics could enhance their respective capabilities to experiment with and operationalize new capabilities. DARPA’s success has inspired the creation of would-be imitators in China and Russia that are similarly intended to catalyze advances in defense science and technology. In late 2012, Russian presidential decree launched the Russian equivalent of DARPA, the Foundation for Advanced Studies (Фонд перспективных исследований ), which has a mission similar to its American counterpart. The purpose of the Foundation is to “promote the implementation of scientific research and development in the interests of national defense and state security associated with a high risk of achieving qualitatively new results in the military-technical and socio-economic spheres, developing and creating innovative technologies and manufacturing special and dual purpose products.” Although much smaller than its American counterpart, it nonetheless conducts an impressive research and development portfolio of promising and emerging technologies, including artificial intelligence and autonomous systems. Pursuant to its ongoing military reforms and reorganization, the Chinese People’s Liberation Army (PLA) has created a new institutional framework to advance defense science and technology development. The Central Military Commission (CMC) Military Scientific Research Guidance Commission (军委军事科学研究指导委员会) has been created to exercise high-level leadership on technological innovation, while also seeking to facilitate military-civil fusion in science and technology. Concurrently, and likely under its guidance, the Central Military Commission Science and Technology Commission (军委科学技术委员会), has been elevated from the former General Armaments Department’s Science and Technology Commission. The Commission, with Lieutenant General Liu Guozhi (刘国治) as its director, is directed to advance the Army's pursuit of a strategy of innovation-driven development, promoting advances in defense science and technology, including through convening expert groups of prominent scientists. In March 2018, China’s first “defense science and technology innovation rapid response small group” (国防科技创新快速响应小组) was launched by the Central Military Commission Science and Technology Commission in Shenzhen. The establishment of this new mechanism is intended to “promote the integration of military and civilian developments in the domain of science and technology, and to use advanced commercial technologies to serve the military.” This first team will leverage “the innovation advantages of the Shenzhen Special Economic Zone to rapidly respond to the needs of national defense science and technology innovation through various forms and accumulate experience in promoting the formation of a flexible and highly efficient defense technology innovation value chain.” The priority fields highlighted for this program include artificial intelligence, biology, networking, materials, manufacturing, and oceanography. In 2018, China and Russia have each launched competitions and challenges that seek to engage a range of participants to advance the development of military robotics and artificial intelligence technologies. Going forward, these events are likely to increase number and complexity, perhaps attracting more and more promising talent and technologies. Within the People's Liberation Army, several services have started to experiment with challenges that are intended to mobilize teams of academic and defense researchers to compete in development. In the fall of 2016, the Army organized a contest involving unmanned ground vehicles, required to engage in tasks such as battlefield reconnaissance. This spring, the People's Liberation Army Air Force announced an upcoming competition. This “Unmanned Warfront” Intelligent UAV Swarm System Challenge ("无人争锋”智能无人机集群系统挑战赛) is open to not only military scientific research institutes but also universities, private enterprises, and even drone enthusiasts. The technology of the winning participants, who will compete with fully autonomous swarms to undertake tasks including cooperative reconnaissance and target identification, will be given priority for future Air Force projects. The Russian Ministry of Defense is hosting a competition among designers of robotics technologies, who will present projects involving unmanned aviation, autonomous transport, and AI applications, including big data, machine vision, and machine learning. The participants will include small innovative enterprises, design bureaus, individual inventors, and young scientists and students, as well as employees from Russian military’s scientific companies. The winning designs, selected by experts from the Ministry of Defense's Main Directorate for Scientific Research and Technological Support of Advanced Technologies, will be presented at the annual Army-2018 military technology forum in August, the biggest event of its kind in the Russian Federation. This November, there will also be events among students from Russian civilian and military academies and universities that will involve unmanned underwater vehicle challenge and an unmanned ground vehicle biathlon. The goal for these efforts is obvious—identify promising talent and attract students to the rapidly burgeoning world of military robotics. To facilitate greater collaboration, China and Russia are creating new platforms and facilitating new partnerships that could prove effective in integrating future development. In China, military-civil fusion is advanced through a range of expos, parks, funds, projects, and joint laboratories that are emerging nationwide, often involving leading companies and universities. Baidu is partnering with the China Electronics Technology Group (CETC), a state-owned defense conglomerate, through the Joint Laboratory for Intelligent Command and Control Technologies (智能指挥控制技术联合实验室), to pursue applications of big data, cloud computing, and artificial intelligence in military command information systems. Tsinghua University, often characterized as China’s MIT, is launching the Military-Civil Fusion National Defense Peak Technologies Laboratory in Beijing to create a platform for the pursuit of dual-use applications of emerging technologies, particularly artificial intelligence. In addition, Tsinghua is building a “High-End Laboratory for Military Intelligence” (军事智能高端实验室) with the support of the Central Military Commission Science and Technology Commission. The Beijing Academy of Quantum Information Science was established as a collaboration among the Beijing Municipal Government, Chinese Academy of Sciences, Academy of Military Sciences, Peking University, and Tsinghua University, Beijing University of Aeronautics and Astronautics to advance the development of dual-use quantum technologies. There is a new base in Qingdao for the development of dual-use intelligent/autonomous underwater vehicles. In Russia, there is progress towards developing a framework to coordinate and implement artificial intelligence development. One major forum on “AI: Problems and Solutions ” in March 2018, organized by the Ministry of Defense, Ministry of Education, and the Russian Academy of Sciences, discussed current domestic developments in artificial intelligence and reviewed international achievements in that field. The event was intended to develop proposals to target the orientation of the Russian state and scientific community on the issues and tasks of creating artificial intelligence. In fact, Defense Minister Sergei Shoigu called for the civilian and military designers to join efforts to develop artificial intelligence technologies, which is necessary to “counter possible threats in the field of technological and economic security of Russia.” Perhaps the most significant result to date from this effort is the publication of what appears to be the roadmap for developing military artificial intelligence—under the auspices of the Ministry of Defense, the Russian Academy of Sciences, and other government and academic institutions. This roadmap spells out key public-private cooperation efforts aimed at fostering greater domestic development, education and research and development in artificial intelligence. One such effort is the proposal to create a National Center for Artificial Intelligence under the auspices of the Russian Academy of Sciences and the Foundation for Advanced Studies. There are also examples of public-private cooperation that are already in the implementation stages across the country, such as the effort by the team led by the National Research Nuclear University that is developing artificial intelligence technology called Virtual Actor, designed to have situational and emotional intelligence. In addition, a joint project between the University of Information Technologies, Mechanics and Optics (ITMO - St. Petersburg) and the Far Eastern Federal University (Vladivostok) is also working on developing artificial intelligence, focusing on the use of neural networks for the management of nuclear power plant systems. Looking forward, there are reasons for the U.S. to be confident about its unique and enduring advantages in defense innovation. The Department of Defense is actively enhancing its capability to leverage emerging technologies in which U.S. enterprises remain leaders. However, the U.S. Third Offset strategy has acted as an impetus and inspiration for Chinese and Russian efforts to offset the offset through pursuing their own agenda and advances in a number of the same emerging technologies. In the process, China and Russia are exploring their own models for deeper collaboration in innovation that may enhance their capability to leverage critical commercial technologies. Their efforts may be facilitated in this case by what appear to be nationwide efforts to marshall the best academic, industrial, and high-tech resources into a single, unified effort, often seemingly unimpeded by legal, ethical, political or socio-cultural dynamics and considerations, such as the debates at UN Group of Governmental Experts or recent controversies about the military employment of artificial intelligence. ...the U.S. Third Offset strategy has acted as an impetus and inspiration for Chinese and Russian efforts to ‘offset the offset’ through pursuing their own agenda and advances in a number of the same emerging technologies. While such top-down management may appear less flexible when compared to the American approach, it may also have certain strengths in facilitating deeper integration than is possible in the U.S. system and political economy. While Russia and China are known for their lumbering civilian and military bureaucracies, both nations are nonetheless demonstrating that they can be nimble enough to accelerate certain technological developments, along with testing and evaluation. So far, both competitors have proven that they can take specific American elements and apply them to their own unique ecosystems. Nonetheless, using American-style institutional and procedural concepts is still a novel idea for the top-heavy ministries tasked with such breakthrough technological developments in both countries. Looking forward, while the United States still has a significant advantage in emerging technologies and their applications, Russian and Chinese efforts could nonetheless produce results that may yet disrupt today’s techno-strategic competition among these great powers. Samuel Bendett is a Research Analyst with the Center for Naval Analyses' International Affairs Group, where he is a member of the Russia Studies Program. He is also affiliated with the American Foreign Policy Council where he is a Fellow in Russia Studies. Elsa B. Kania is a Featured Contributor on The Strategy Bridge and an Adjunct Fellow with the Technology and National Security Program at the Center for a New American Security, where she focuses on Chinese defense innovation in emerging technologies. The views expressed in this article are those of the authors and do not represent the official position of the Department of the Navy, the Department of Defense, or the U.S. Government. It is worth noting that Google’s work with Project Maven, which involves the use of machine learning to identify objects and patterns and in full motion video, appears to be consistent with these principles.